I've been busy lately planning for my upcoming wedding in Rio de Janeiro. It is pretty clear that my Brazilian bride is going to need me fully engaged. As such the planning process is taking up much of my free time. I'm going to have to cut back on a lot of activities. Blogging will have to take a back seat for now. Hopefully I can resume again in the not too distant future. On a more personal note, my fiancé has been doing a lot sales traveling lately. And while I do miss her, the upside is that I get to watch my TV shows for a change. One of my favorites that I have been re-watching is the old “Prisoner” series. Patrick McGoohan’s defining work (he not only starred, but conceived, produced, and head-wrote) takes off right where his old show “Danger Man” (Also known as ”Secret Agent” here in the US) abruptly left off. 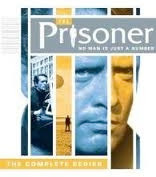 Wether “The Prisoner” is a sequel to “Danger Man” is never truly resolved. Like the more modern show “Lost,” “The Prisoner” is set on a surreal island. McGoohan has no idea how he got there and all his attempts at escape are thwarted. Unlike “Lost,” “The Prisoner” uses hip, mod stylings to send up a very libertarian message about the relationship of the individual to civil society. Just what are the limits to liberty and how are they reconciled with the needs of the institution? All the visual cues for a modern social(ist) utopia permeate the show but they don’t fit McGoohan’s sensibilities as a free man. 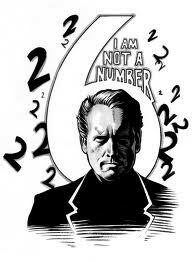 In true collectivist fashion, McGoohan’s character is only ever referred to as “Number 6.” We never really learn his true identity. Is he really still Agent Drake from “Danger Man?” One series followed right where the other left off. As Johnny Rivers sang in the opening have they finally “given him a number and taken ‘way his name?” The mystery of personal identity and what it means is a theme that flows through each episode. The show always starts with a montage of McGoohan quitting his government agent job in a heated dispute. His resignation is processed by a Kafka-esque bureaucracy. McGoohan’s new independence threatens an un-named institution. (Possibly his old employer? Maybe Danger Man’s enemies?) They gas and kidnap him, depositing him in The Village on an unusual island. In each episode he wakes to be questioned by a shadowy figure. Does Number Two want Six to give up state secrets or valuable data? Is Number Two really looking for information? Or is Number Two so wired into the collective, is his individuality so far lost, that he only wants what the others want? Are his desires in unity with the others: do they all want in formation? Is the real goal here to get Number Six to conform with the collective and think properly? When Number Two pauses in his answer about Number One, is he being evasive or did he insert a comma? Think about how that changes the meaning of the response. Who is really responsible for, or in charge of, Number Six? The episodes then continue with Six’s newest escape plan. He struggles with his own identity against the pressures of near absurd conformity. A battle of wills invitably leads to a mental defeat of Two. But even with Two defeated, Six’s control over his own escape proves ever illusory and he remains trapped on the island. My favorite episode would be “The General.” Curiously, it is episode number 6 in the series. There is enough going on in that one episode to fill another blog post. So I think we will leave that for a future time. In its heyday I could never really get into “Lost,” probably because I’ve seen “The Prisoner.” I know how good that format can be and how the show can really be about something. If you’re not familiar with the series, do yourself a favor and rent a few episodes. They are definitely worth your time. A recap of my twitter account this past week. 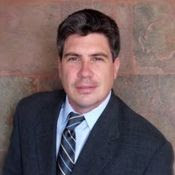 I have programmed professionally in several languages over the course of my career. These include: Vision, C++, visual basic, S-plus, SAS, perl, various scripting languages, and certain proprietary languages. But when I am at home, my default language is typically R.
I enjoy using R in my personal projects primarily for three semi-interrelated reasons. First the similarity between R and S-plus makes R easy to learn and comfortable to use. Second of course is R's unbelievably low price. And third, because of the first two reasons, there is a large and robust community of support. There are a tremendous number of modules, plugins and examples available on the web for such things as time-series analysis, advanced statistics, and good object-oriented design techniques. One of the new changes around here will be a weekly update or summary of my activity on twitter. Since this is the initial post of this series, I am actually going to include the past two weeks here. While one could alway venture to my twitter page, or follow me directly on twitter to see some of my current thoughts, I think having them incorporated into the blog will prove beneficial. It will create one centralized place where a reader can learn more about me. After all, centralizing and conveying my ideas is a main purpose of this blog. #Copernicus correctly understood that debasement of money was a main reason for the fall of a state bit.ly/S7TQNS. Same today in U.S.